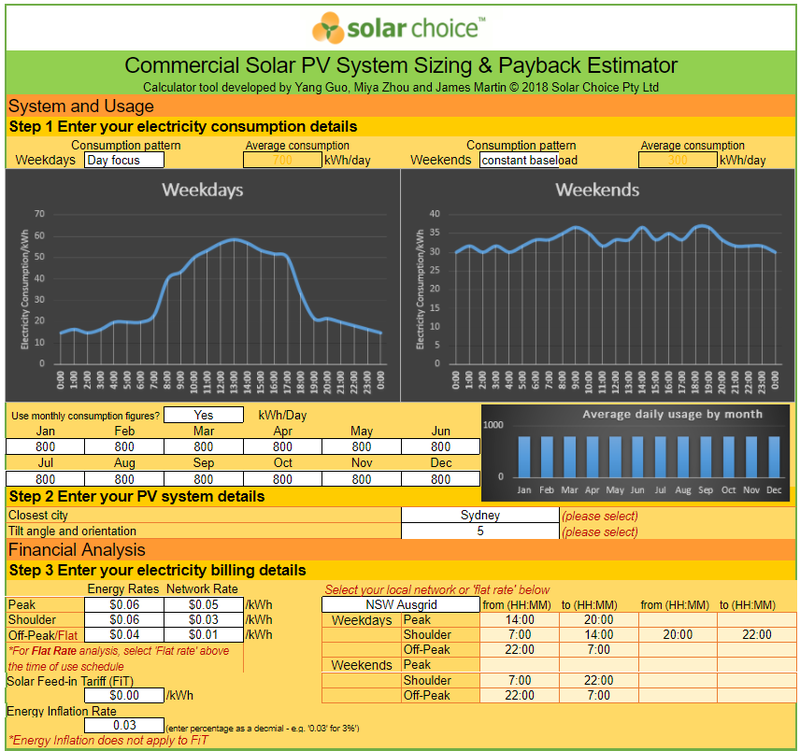 Welcome to Solar Choice’s Commercial Solar Payback Calculator tool. Solar Choice has put this tool together to help businesses (and anyone else who is interested) to work out approximate payback periods and return on investment (ROI – or IRR in our case) for commercial solar power; the tool also makes indicative solar system size recommendations based on the pricing & consumption details that you enter. With electricity rates across Australia skyrocketing in recent years, commercial solar power makes more sense than ever, with payback periods for commercial solar systems easily in the 3-5 year mark for most small to medium enterprises (SMEs). As businesses catch on to these potential benefits, they are looking to get educated about how it all works – and how much it costs. The Commercial Solar Payback Calculator below is a streamlined and simplified (but still fairly sophisticated) version of the engine used by our in-house engineer to generate Indicative Business Case Analysis for our commercial clients. Solar Choice provides this analysis – alongside commercial solar quote comparisons from leading installers around the country – for free as part of our commercial tender management service. Please get in touch today to learn more about how we can assist. Or give us a ring on the number below to discuss your project with one of our team. To access the full calculator, please fill out the form below so we get an idea of who’s interested in using it and why. Solar Choice's Commercial Solar Payback & ROI EstimatorThanks for your interest. To access the calculator, please tell us a bit about yourself. Please note that all results from this calculator are indicative only, and should not take the place of a full assessment based on your electricity bills and interval consumption data. This calculator provides only very rough estimates about solar power system payback times and system size recommendations. 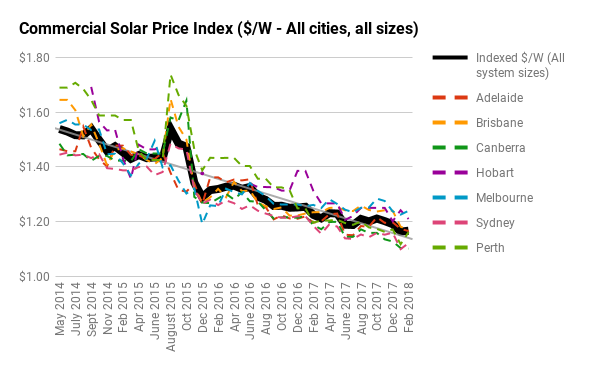 If you're interested in more detailed analysis, Solar Choice can provide you with free system size recommendations, quote comparisons & indicative business case based on your power bills. Click 'yes' and we'll be in touch via email about next steps.